In this webinar, we discuss eCOA instrument migration principles and requirements, as well as the methodologies for different types of validation activities (usability testing, cognitive interviewing, equivalency testing). Our guest speakers are Paul O'Donohoe, Kai Langel, and Diane Wild. Data integrity and validity have got to be the number one concern for anybody gathering data from subjects. Electronic Clinical Outcome (eCOA) solutions can help. 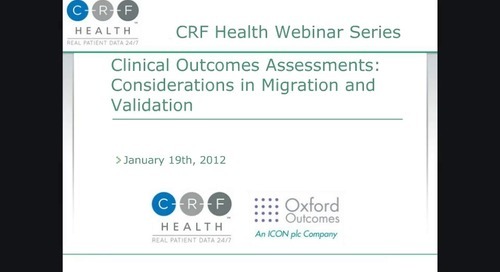 Migration of a clinical study from paper to electronic requires technical, regulatory, and patient experience considerations. 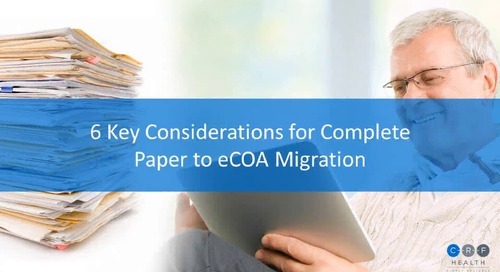 Follow these best practices to ensure an effective transition to eCOA. Is equivalence testing necessary to establish comparability between electronic and paper-based clinical trial questionnaires? A meta-analysis of several years of equivalence tests provides insights. 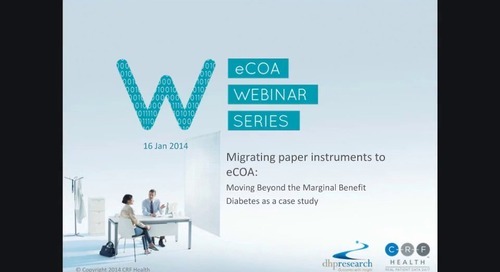 Dr. Keith Meadows and Paul O’Donohoe discuss highlight important considerations and benefits of migrating a clinical study from paper to eCOA, with particular focus on a case study in diabetes. 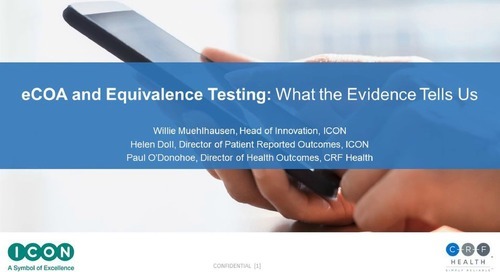 Diane Wild and Kai Langel discuss clinical outcomes validation from the perspective of actual re-search, noting key terms and identifying challenges and best practices. Recorded January 19, 2012. 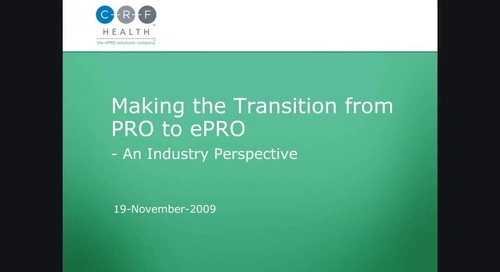 Members of an industry panel discuss ePRO deployment in clinical studies, including the lessons learned, best practices, as well as advantages of electronic over paper. Recorded November 19, 2009. 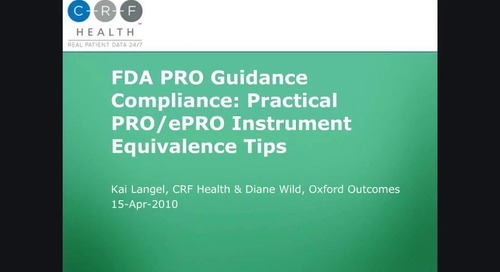 Diane Wild and Kai Langel discuss ePRO instrument development and validation within the scope of the FDA PRO guidance and outline CRF Health’s 4-step ePRO validation program. Recorded April 15, 2010. 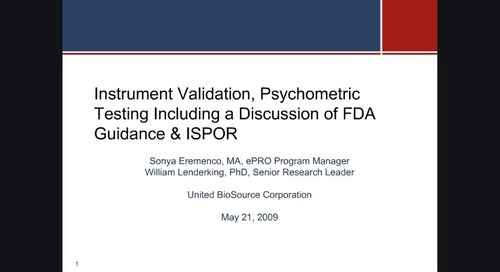 Sonya Eremenco and William Lenderking report on ISPOR ePRO task force discussion, new pub-lication, and draft document, then introduce new instruments (EXACT-PRO and PROMIS). Rec-orded May 21, 2009.